Over 700 million tourists are going to be on the move starting Sunday, and Beijing will be one of the most popular destinations, Caixin reported this week. The China Tourism Academy estimates that over 60% of the population plans to travel during this year’s October holiday season, with Beijing being one of the three top destinations, according to C-Trip. 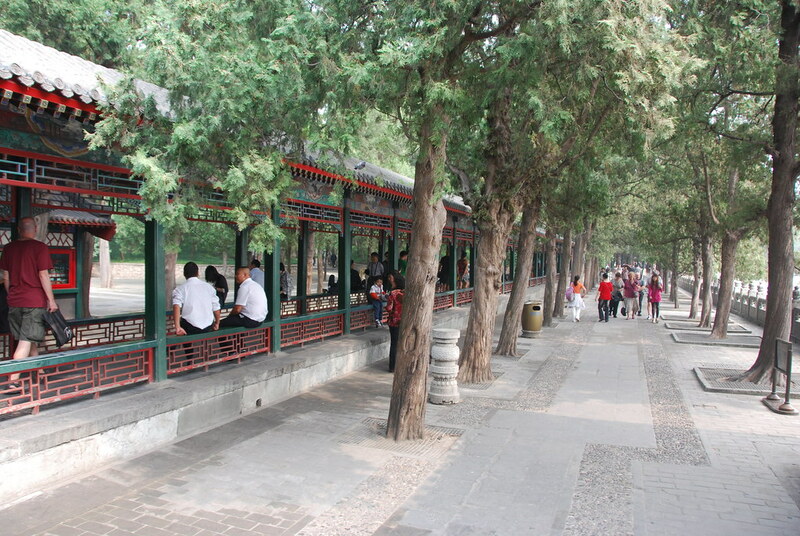 Of the sites expected to receive the most tourist love nationwide over the next seven days, two Beijing locations – the Forbidden City (no surprise there) and Yuanmingyuan/Old Summer Palace (a bit of a dark horse) are in the top 10, with the Forbidden City topping the list of soon-to-be-crowded venues. The Forbidden City is featuring a number of limited-time exhibitions, including one featuring the famous painting “A Thousand Li of Rivers and Mountains (千里江山 qiānlǐ jiāngshān), painted in 1113 by teenaged prodigy Wang Ximeng. The painting has only been displayed publicly three times since 1949. 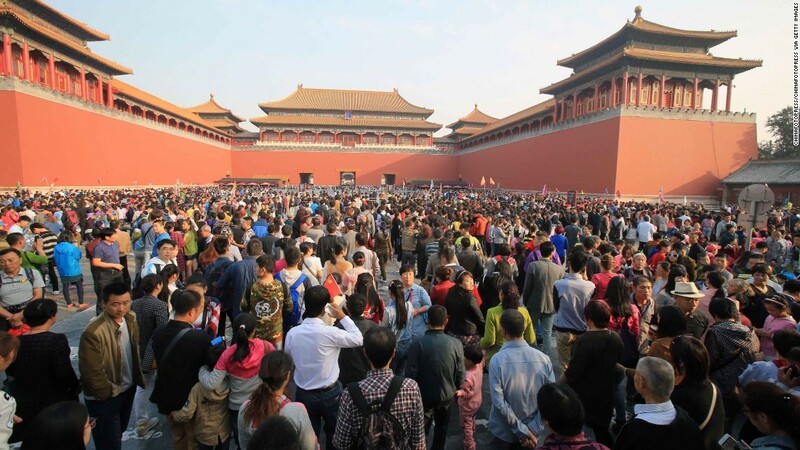 Already worried about long wait times and unhappy patrons, the Palace Museum staff set a quota for the number of visitors to the popular exhibition to avoid long queues. 150 people will be allowed into the exhibit, being held in the Meridian Gate gallery, which overlooks the entrance plaza of the Forbidden City, every half-hour from 8.30am until closing at 4.30pm. Many of Beijing’s public parks, including the Old Summer Palace, have also been spruced up to welcome the crowds. Over 1.5 million potted plants have been deployed to beautify city sites, including a 17-meter-tall display in the shape of a flower basket taking center stage at Tiananmen Square. So how can one enjoy the sites and avoid the crowds? 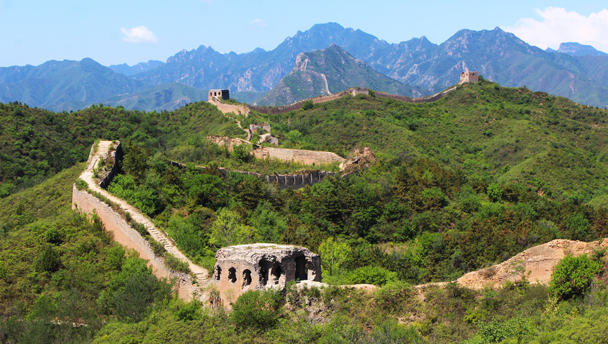 1) Consider some of the less famous, but almost as impressive, sites around Beijing. Temple of Heaven too crowded? Try Temple of the Earth, just across the street from the Lama Temple. Those sufficiently brave (or hungry) can test their mettle by trying to get a table at Jin Ding Xuan, the famous 24-hour dim sum/everything restaurant just outside the southern gate of the park. 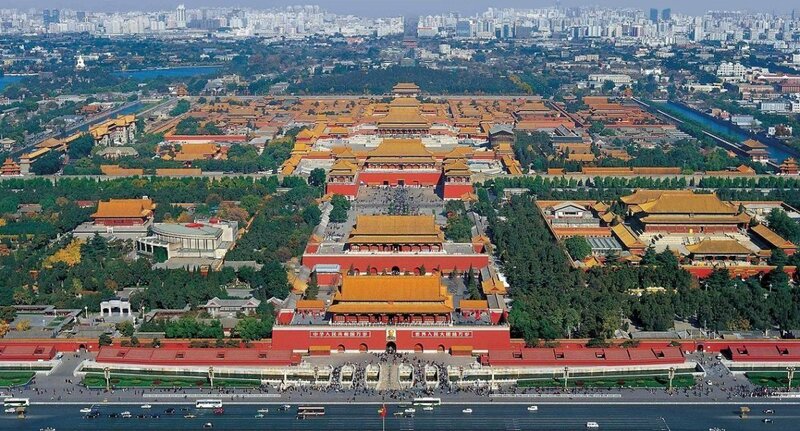 2) If you’re heading to the Forbidden City, check ahead about tickets. 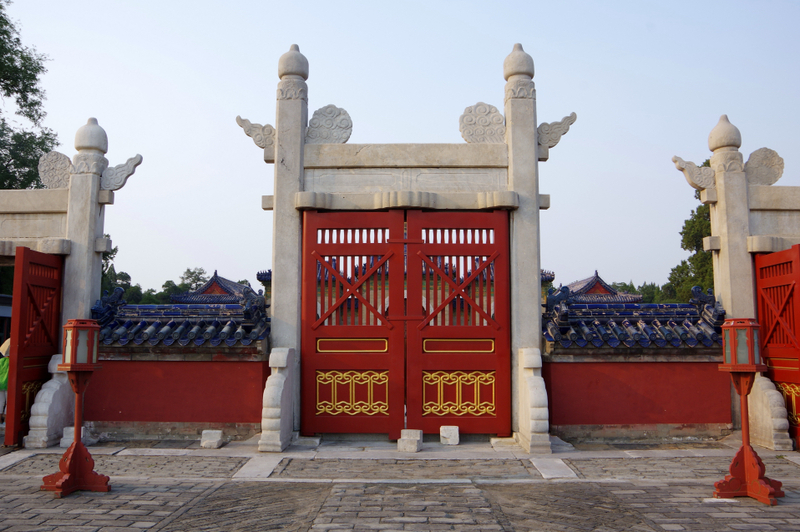 The Palace Museum is moving to an online-only system starting any day now. It’s always wise to reserve tickets ahead of time in any case, particularly since the Forbidden City caps the number of tickets sold each day at 80,000 – a limit they’re nearly sure to reach daily over the holiday. 3) Even though the Summer Palaces (Old and New) are likely to be on the to-do lists of many visitors to Beijing next week, the size of these parks means that there will still be spaces to enjoy away from the maddening crowds. Once inside, follow the trails which lead away from the most popular attractions (the north shore of Kunming Lake in the case of the Summer Palace, the ruins of the “Western Palaces” at the Old Summer Palace) and you can find yourself walking through tree-lined paths and lakeshore trails with only a few hundred (as opposed to a few thousand) folks to accompany you. 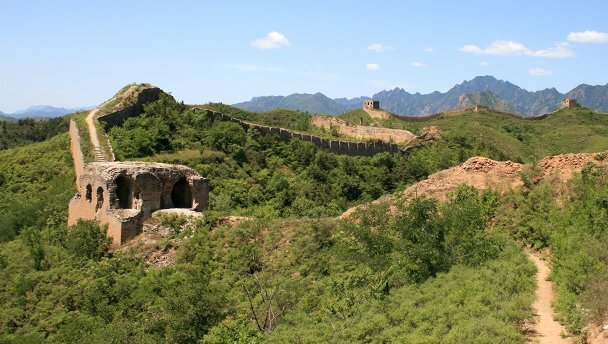 4) If you’re heading to the Great Wall, be sure to allow time for the inevitable traffic jams. Everybody is heading to the country, and the highways in and out of the city are likely to see heavy congestion most of the week. Factor in increased security, checkpoints, and roadblocks as Beijing gets ready for the big meetings happening in a few weeks and it’s a formula for a traffic disaster. Wall walkers may also want to check out some of the less-frequented areas as well. Consider heading out to Panlongshan/Gubeikou near the Hebei/Beijing border rather than face the hordes at Mutianyu or Satan’s Own Cha-Cha Line at Badaling. 5) Take a hutong walk. 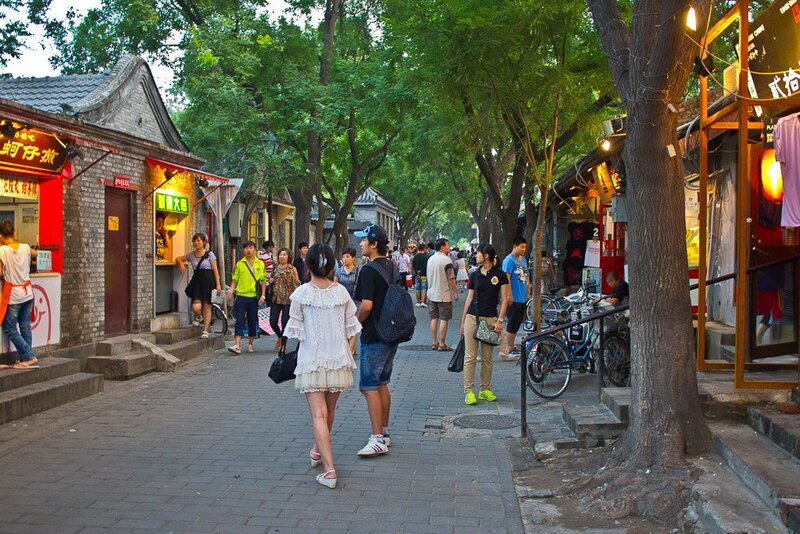 Once you get away from the usual draws like Nanluoguxiang, Qianmen, or Wudaoying, many of Beijing’s best hutong neighborhoods are surprisingly quiet during the October holiday. It’s also a nice time of year for a hutong exploration as the weather cools and the leaves start to change. Jeremiah Jenne is a writer, educator, and historian based in Beijing since 2002. He is the proprietor of Beijing by Foot, which leads historic walking tours and educational programs here in the city and around China. You can find him on Twitter @JeremiahJenne.